For over 90 years, Borgert has been manufacturing the highest quality granite aggregate pavers and patio products to enhance your outdoor living spaces. 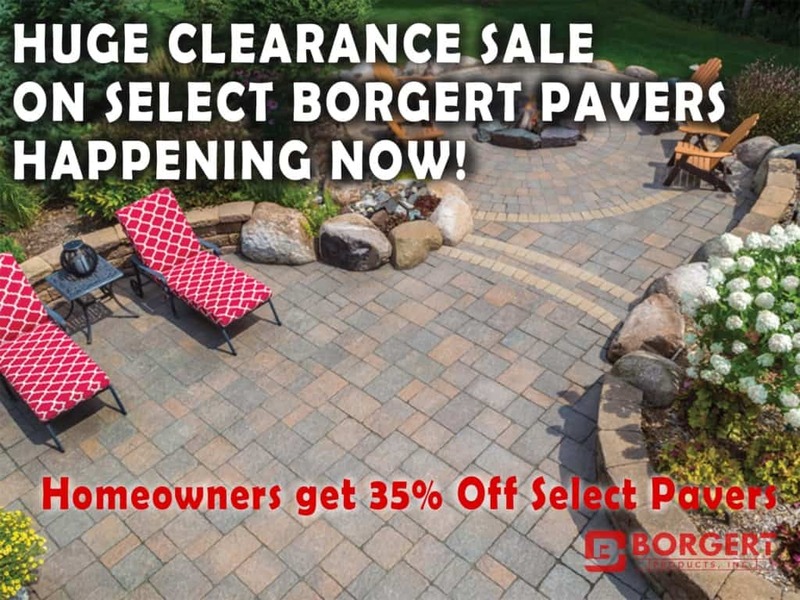 With granite in their products, Borgert pavers and wall block are some of the strongest and highest quality paver products you’ll find on the market anywhere. And with through and through color and timeless styles, they’re truly some of the most beautiful too! Circle B Landscape Supply has been chosen to be the sole distributor of Borgert Products for southern Wisconsin. Circle B is known for providing only the highest quality landscape products to our customers. We are proud to provide Borgert products, unmatched in quality, to our residential and commercial customers. Our staff has been trained to give you the best guidance and assistance in selecting your paver, block and wall systems. We also sell a beautiful selection of Outdoor Fireplaces through Borgert’s partner Company, King of Hearths. Click any of the images to see how Borgert Products can improve your landscape.